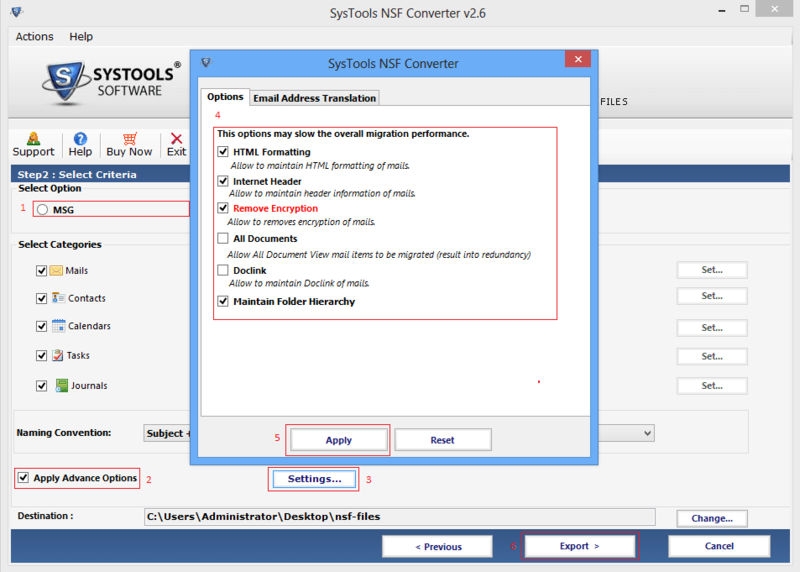 The Lotus Notes to MSG software allows to convert complete data to MSG. 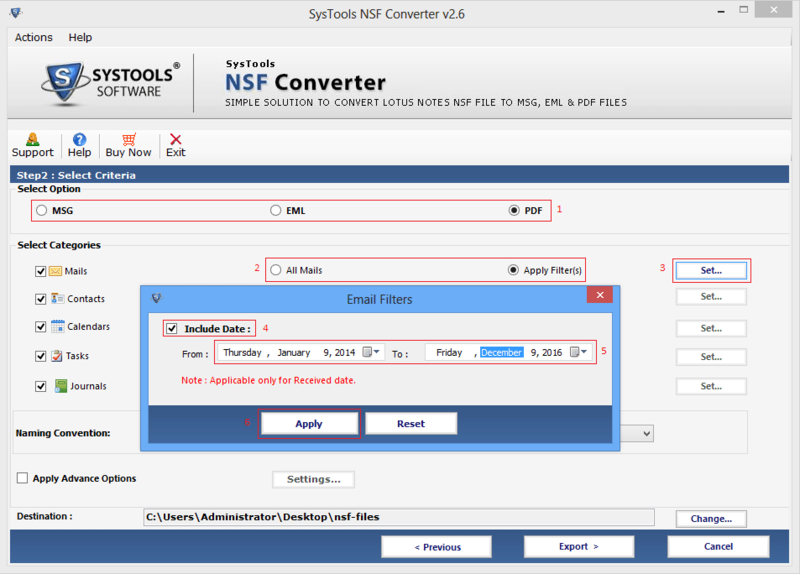 With this tool you can export emails, calendars, contacts, to do lists & journals from single or multiple NSF files. 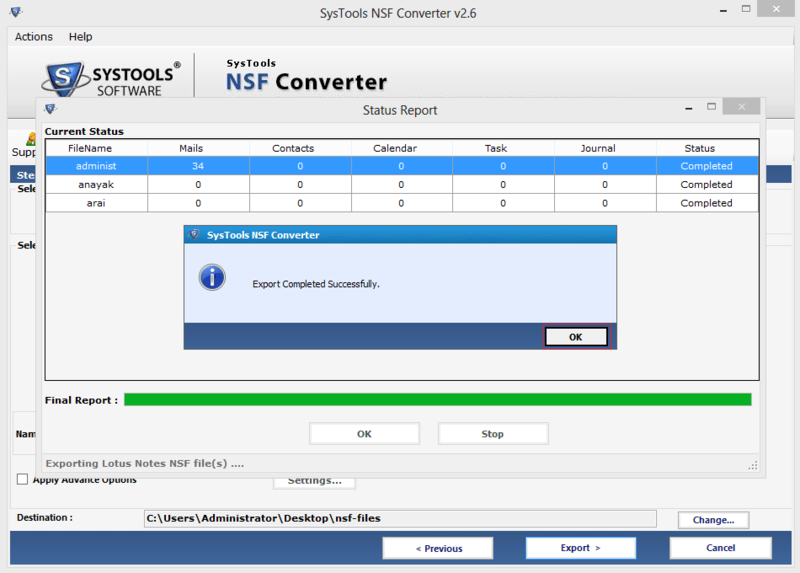 The tool ensures no loss of information while converting NSF file to MSG. 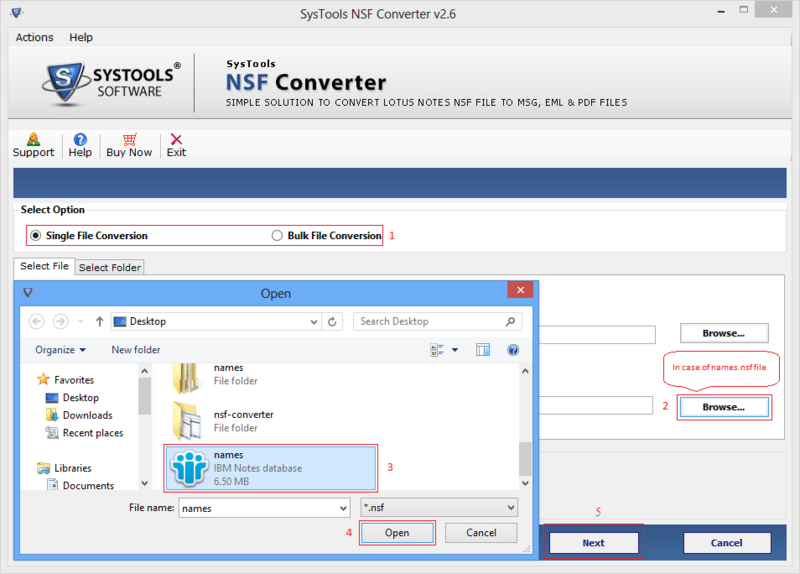 With NSF to MSG tool you can import multiple NSF files which are saved in common folder. There is no limitation on the no. of files that is to be converted. 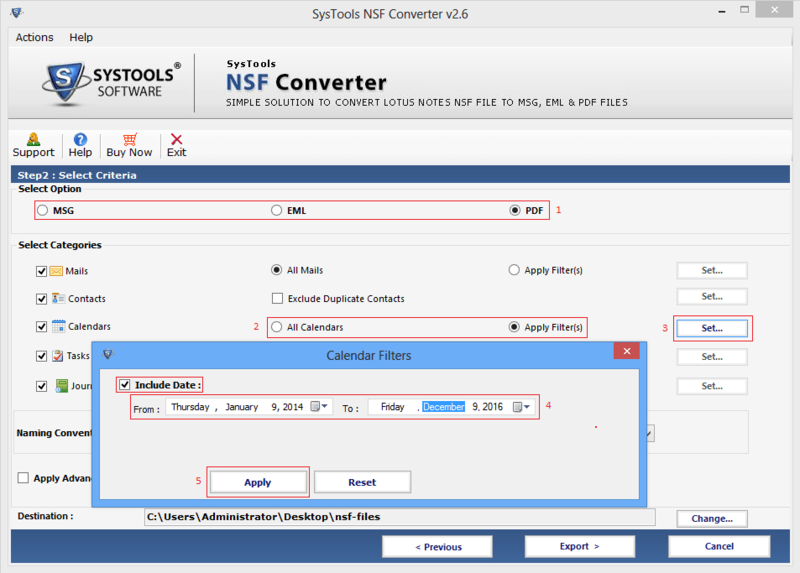 The tool directly select folders having NSF files. Even you can search NSF files within the sub folders. 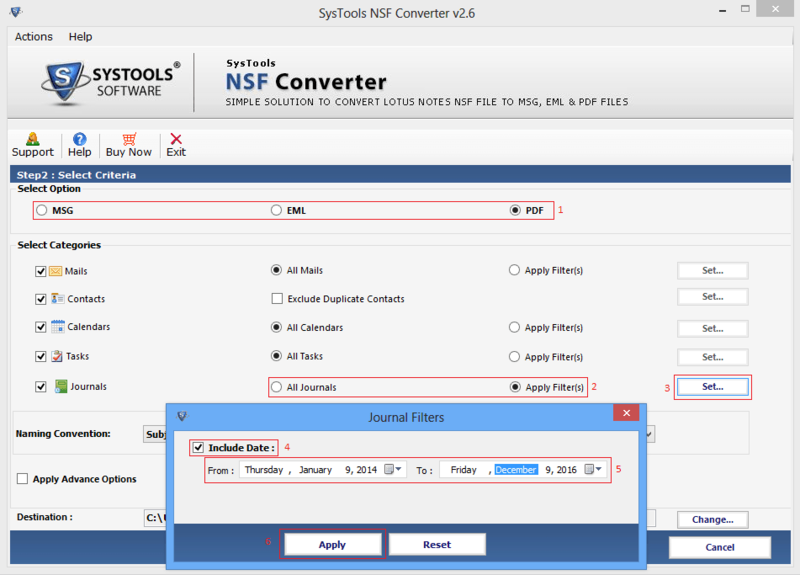 The software allows you to migrate all the items which are present within the NSF file such as emails, contacts, calendars, journals, etc. But if you only require to export selective folders then you can simply check or uncheck the files to convert it to MSG file format. The Lotus Notes to MSG tool ensures to maintain the folder hierarchy of Lotus Notes file to save the data. 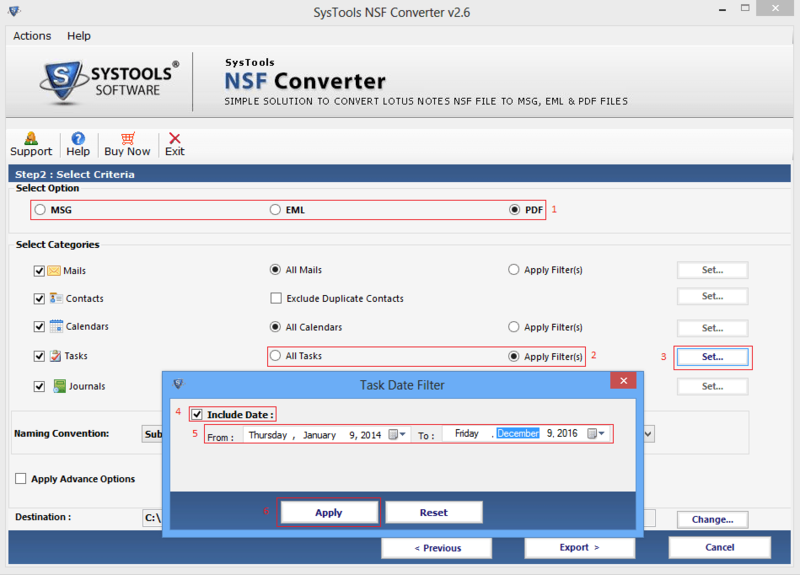 If you wish to convert NSF to MSG format, then the software does not make any changes with the structure it keeps the hierarchy intact. This option provide users a benefit to select date with various options, you can choose the appropriate naming options. By default each file gets saved by mail subject & you can change naming pattern to Subject+Date (DD-MM-YY), Date(MM-DD-YYYY) etc. 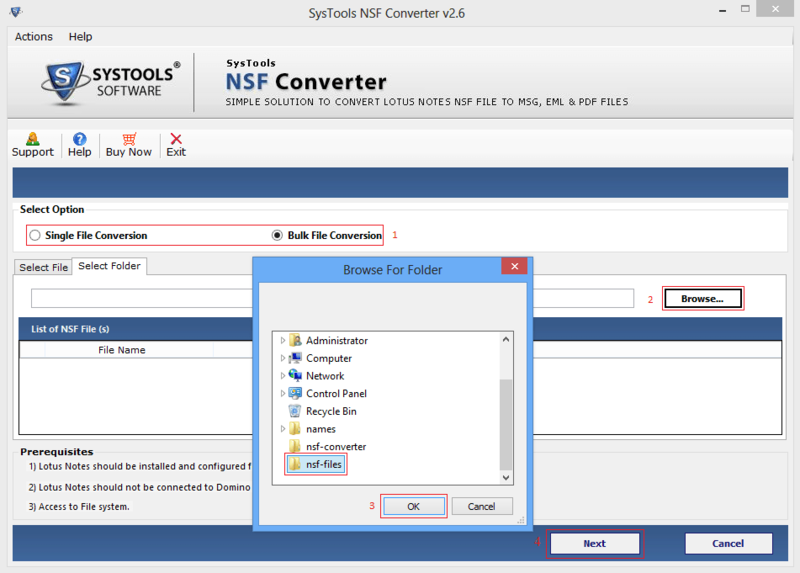 The NSF file to MSG converter is designed with simple & easy user interface. All the options are integrated on a single panel so that user don’t navigate. This makes the software easy to use tool which can be operated by technical as well as by non-technical users. A prompt will open where you can see two options i.e Single file conversion & Bulk file conversion. If you want to convert single file then choose the Single file conversion option. Browse the file which you want to convert. Then click Next to begin with the conversion process. You can even browse the names.nsf file individually, if you want to convert contacts. Then, click on Next to move further. 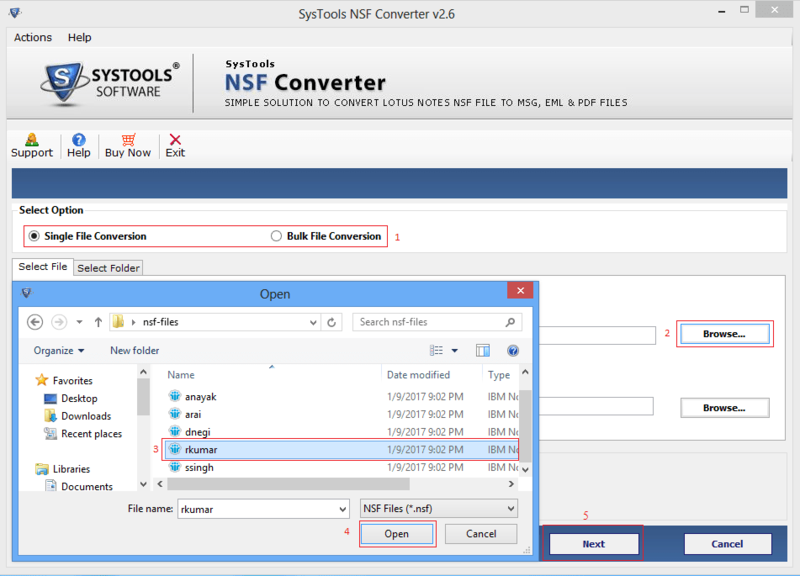 If you want to migrate the files in bulk, then you can choose Bulk file conversion & can easily browse the folder containing NSF file. 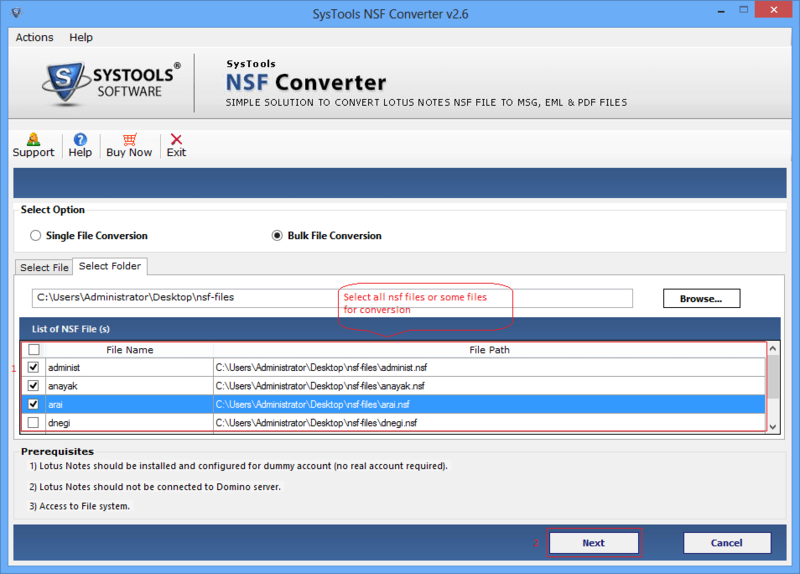 Once you choose bulk file conversion then you can also select number of NSF files for the migration. A screen will appear providing Select criteria. Choose MSG file format to convert Lotus Notes to MSG. You can also apply Include date filter to select mails from the select category. There are different filters which you can apply for different fields which includes calendars, tasks & notes. You can even select the format of the date from the Naming convention option & then click on Export to start the export process. By checking Apply advance option a prompt will appear where you can check the options like apply HTML formatting, doc link, all document, etc. as per your need. In the add .csv file option you can add CSV file. Then, enter the password to access the corresponding ID file. A screen will display showing Status report as soon you enter user id & password. A pop up will appear showing the successful completion of the export process. Does the software show the compatibility problem with Windows 10? No, you can easily run the software on all the versions of Windows without any performance issue. Is the installation of Lotus Notes required for running this software? Yes, Lotus Notes client 6.5 or above should be installed on the conversion machine & IBM Notes should be configured with any POP3 or dummy profile. Please ensure that the Notes client is not connected with the Domino Server when NSF to MSF conversion is taking place. Make sure the NSF file which is being used is accessible or healthy. What is the maximum size of NSF file that can be converted to MSG file format? 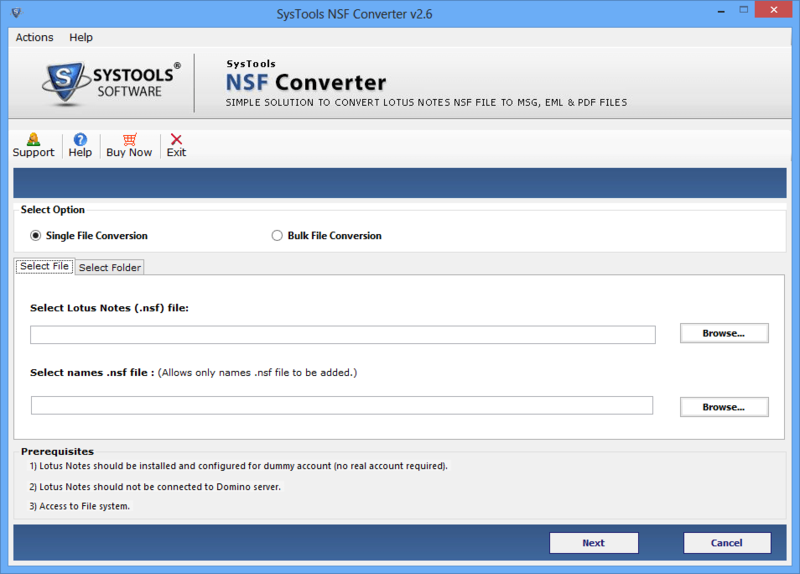 The tool does not has any file size limitation for exporting NSF files to MSG. You can migrate any number of NSF files in few minutes. 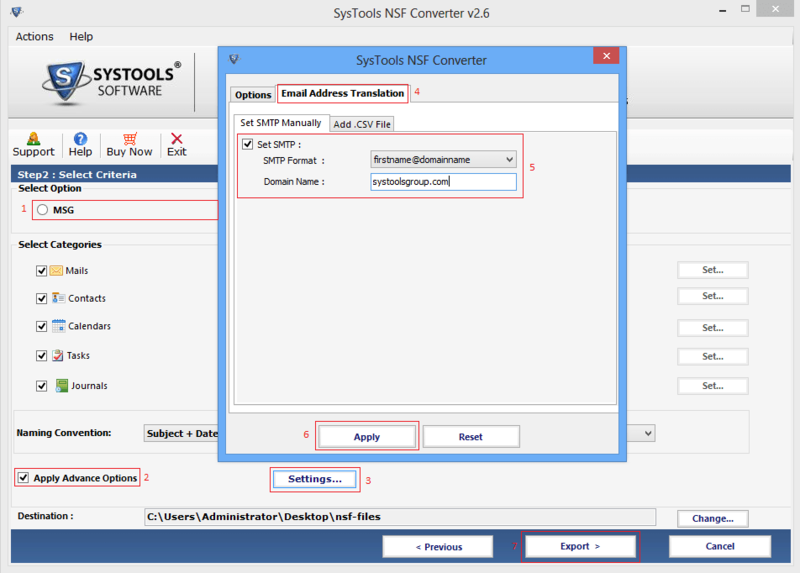 Is the tool convert meetings & contacts from NSF to MSG file format? 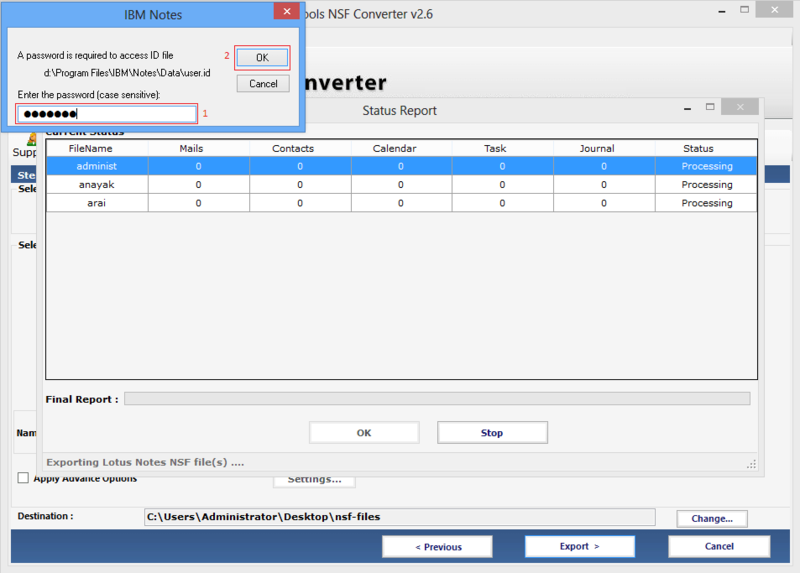 Yes, the Lotus Notes to MSG converter migrates all data items like emails, contacts, calendars etc, from IBM Lotus Notes to MSG without doing changes in the folder structure. It was an immense pleasure working with this user-friendly tool. I was not able to convert Lotus Notes emails to MSG, then I banked upon this tool one day. The tool is easy to use and does not demand any extra effort. I was in a search of tool which can migrate NSF file to MSG without any issue. One fine day one of my friend recommenced me this software. Since then I’m happy working with this software.